Why would I need self storage in Brooklyn Park, MN? There are a variety of reasons why you might need self-storage in Brooklyn Park, MN. How much is a storage unit in Brooklyn Park, MN? The cheapest storage unit in Brooklyn Park, MN is $31.00 per month. What size storage units do you have available in Brooklyn Park, MN? In Brooklyn Park, MN we have sizes that range from 4'x5' to 10'x25' to suit your storage needs. How much is it for a 4'x5' storage unit in Brooklyn Park, MN? The cheapest 4'x5' storage unit in Brooklyn Park, MN is $43.00 per month. Brooklyn Park sits on the west bank of the Mississippi River in Minnesota's Hannepin County. Its steadily growing population has made it one of the state's largest cities, home to a diverse population and many families. An ideal place for fitness and outdoor enthusiasts, the city has 60 parks totaling 1,430 acres, 50 soccer fields, 28 softball and baseball fields and two golf courses. Included in Brooklyn Park's many parks and recreational facilities are 120 miles of trails and a community center with a gymnasium, racquetball courts, hockey rinks, meeting rooms and a senior center. Another attractive feature is Brooklyn Park's vibrant ethnic diversity, and the city also boasts a lively community with many youth, adult and senior organizations. You'll find a mixture of retail, commercial and industrial businesses in the city. 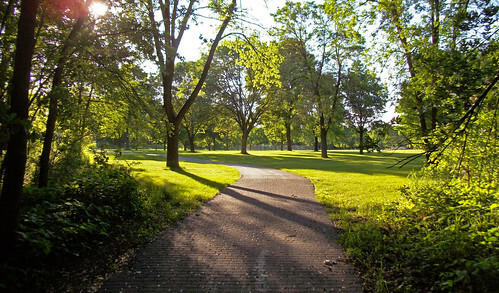 Brooklyn Park is part of the Twin Cities metropolitan area, which is one of the most economically diverse areas in the country. Many large firms in technology, retailing, healthcare and food have their headquarters here. General Mills, United Healthcare, Target and Best Buy are just a few examples. Brooklyn Park is ranked as one of the best cities to move to in America. It is also ranked as the best city for seniors, one of America's most playful cities and one of the safest cities for families with young children. You get to know your neighbors and your new community at the many local events hosted by the city. Events range from large celebrations to regular weekly gatherings like the city's farmers market, where you can buy local produce, freshly-baked bread and pastries, and jams and jellies. Kids also have many opportunities to get involved in the Brooklyn Park community. Social groups, a police-hosted story time and youth government are just a few of the local events and organizations your child can be a part of. Adults aren't left out either; you can join the local Citizens Academy, take part in a Community Fire Academy training session or, sign up for safety seminars and educational sessions. Brooklyn Park's schools are served by three districts: Osseo Schools (Independent School District 279), Robbinsdale Schools (ISD 281) and Anoka-Hennepin (ISD 11). Because Minnesota is an open-enrollment state, you have the option of enrolling your child in any public district, assuming there is classroom space. Brooklyn Park is also home to a few private schools, mainly faith-based campuses like Maranatha Christian Academy and St. Alphonsus Parish School. The city offers a few options for higher education, including Hennepin Technical College, Rasmussen College and North Hennepin Community College. Utilities: Brooklyn Park's major energy providers are CenterPoint Energy and Xcel Energy. The city manages its own water and sewer services. Garbage and Recycling: You have the option to contract with a private disposal company for trash collection. The city does offer resources to help make the process as easy as possible. Transportation: Public transit options in Brooklyn Park include bus and light rail. Brooklyn Park has an assortment of apartment complexes and single-family homes. Whether you plan to rent or buy, Brooklyn Park's varied and distinct neighborhoods have many options to suit different budgets and lifestyles. Home prices are on the rise, but the city is still fairly inexpensive when compared to the metro area averages. Our lowest priced units in Brooklyn Park, MN average $39.67 per month. 206 people have reserved units in Brooklyn Park, MN in the past 30 days. There are 3 locations within Brooklyn Park, MN's city limits. There is 1 location in Brooklyn Park, MN that offers AC and Heating features.